1. Acceptance. Accessing or otherwise using this Website constitutes acceptance of the terms of this Agreement by User and by parties on whose behalf or for whose benefit User accesses or otherwise uses this Website (“User’s Principals”). User represents and warrants that he or she is authorized to enter into this Agreement and bind User’s Principals to the terms of this Agreement. Unless otherwise specified, references to “User” in this Agreement shall be construed to also refer to User’s Principals. 2. Permission to Use; Limitations; Termination. Users who have accepted this Agreement are granted permission to use this Website for its intended purposes subject to the terms of this Agreement. Use of certain components of this Website may be subject to additional terms relating to privacy of personal information or other matters as may be provided in a separate agreement or policy. All such additional agreements and policies are hereby incorporated into this Agreement. To the extent that such additional agreements and policies provide for additional restrictions on use of this Website, such restrictions shall be in addition to those provided under this Agreement. Certain sections of this Website may be restricted in which event use of those sections is prohibited unless specific permission to access those sections is given by the HOA. This Website may be used only for User’s internal purposes. User agrees to comply with this Agreement as it may be modified from time to time as set forth below. User also agrees to comply with all applicable laws. The HOA may cancel User’s permission to use all or any part of this Website at any time for any reason in the sole discretion of the HOA. User’s permission to use this Website shall automatically terminate in the event that User violates this Agreement. All provisions of this Agreement other than the permission to use this Website shall survive termination. 5. Security; Privacy. The HOA cannot guarantee the security of any information provided by or on behalf of User in connection with this Website, and the HOA shall not be responsible for a compromise of User information. User is responsible for maintaining the security of any passwords or other access keys provided to User for any restricted portions of this Website. The HOA has no obligation to store or maintain any information provided by or on behalf of User. Any information collected by the HOA will be subject to the HOA’s privacy policies as they may be modified from time to time. Contact information collected from Users may be used to distribute information that the HOA believes may be of interest to Users such as information relating to association meetings, community events and activities. User information may also be provided to third-parties such as association property management companies to allow them to respond to questions or concerns raised by Users. A User that wishes to limit the use of any information that it may provide should contact the HOA as described in Section 10 of this Agreement. 6. Changes to Website; Limitation of Availability. The HOA may modify or discontinue any aspect or feature of this Website, including its content, functionality, hours of availability, pricing, registration requirements, the domain name addresses through which this Website is accessible, or the equipment needed for its use, at any time and for any reason in the sole discretion of the HOA. The availability of this Website is subject to periodic downtime for maintenance and repairs and is subject to interruption due to causes beyond the HOA’s control including failure of telecommunication links and failure of Internet infrastructure. User acknowledges and agrees that the HOA shall not be responsible for any interruptions of the availability of this Website. 7. Exclusive User Remedy. In the event that User is dissatisfied with any aspect of this Website, User’s sole remedy shall be to discontinue use of this Website. 8. DISCLAIMER OF WARRANTIES. THIS WEBSITE IS PROVIDED “AS-IS” WITH ALL FAULTS AND THE HOA DISCLAIMS TO THE MAXIMUM EXTENT PERMITTED BY LAW ALL WARRANTIES RELATING TO THIS WEBSITE, WHETHER EXPRESS, IMPLIED OR STATUTORY, INCLUDING ANY IMPLIED WARRANTIES OF MERCHANTABILITY, FITNESS FOR A PARTICULAR PURPOSE, TITLE, WARRANTIES AGAINST INFRINGEMENT OR INTERFERENCE WITH ENJOYMENT, OR WARRANTIES ARISING FROM COURSE OF DEALING OR USAGE OF TRADE. BY WAY OF ILLUSTRATION WITHOUT LIMITATION, THE HOA DOES NOT WARRANT THAT THIS WEBSITE WILL FULFILL ANY OF USER’S PARTICULAR REQUIREMENTS, THAT ACCESS TO THIS WEBSITE WILL BE UNINTERRUPTED OR ERROR FREE OR THAT ANY INFORMATION OBTAINED THROUGH THIS WEBSITE IS ACCURATE. 9. DISCLAIMER OF LIABILITY. NEITHER THE HOA NOR ANY OF ITS AFFILIATES, LICENSORS, PARTNERS, MANAGERS, SHAREHOLDERS, DIRECTORS, OFFICERS, EMPLOYEES OR OTHER AGENTS SHALL HAVE ANY LIABILITY TO ANY USER OR THEIR PRINCIPALS AND AGENTS FOR ANY DAMAGES, WHETHER GENERAL, SPECIAL, DIRECT, INDIRECT, INCIDENTAL OR CONSEQUENTIAL, INCLUDING ANY LOST PROFITS OR LOST SAVINGS, WHETHER OR NOT FORESEEABLE AND WHETHER BASED ON CONTRACT, TORT OR STATUTE. USER EXPRESSLY ACKNOWLEDGES AND AGREES THAT THE HOA IS PROVIDING ACCESS TO THIS WEBSITE IN RELIANCE ON THE DISCLAIMERS AND LIMITATIONS SET FORTH IN THIS AGREEMENT, AND FURTHER ACKNOWLEDGES AND AGREES THAT SUCH LIMITATIONS ARE REASONABLE. IN NO EVENT SHALL THE HOA’S LIABILITY TO USER EXCEED THE FEES ACTUALLY PAID BY USER FOR USE OF THIS WEBSITE. 10. Proprietary Rights; Restrictions. User acknowledges and agrees that this Website’s content (i.e., data, information, files, graphics, etc. ), design, code, underlying technology and related information are proprietary to the HOA (or its licensors and vendors if applicable) and protected by U.S. and international copyright laws, trade secret laws, trademark laws and other laws. The posting of information or materials on this Website by the HOA or its affiliates does not constitute a waiver of any right in such information and materials. This Agreement does not provide User with any right or interest in the HOA’s proprietary rights related to this Website or otherwise, and all such rights shall continue to be owned by the HOA (or its licensors or vendors if applicable). Except to the extent express written permission is given by the HOA, User shall not copy, reproduce or otherwise duplicate this Website, in whole or in part, or access or attempt to access any of the HOA’s systems, programs, data or other information or content that is not made available for public use, or use any information on this Website other than for its intended purpose. Permission is hereby given to User to view, print or download information on this site that is made available for public viewing, printing or downloading, for User’s own internal use and not for republication, distribution, sale, transfer, preparation of derivative works or other use. Data mining, harvesting or similar collection of email addresses or other information on this Website is prohibited. Other trademarks appearing on this site are trademarks of the HOA or others and may not be used without the express written permission of their respective owners. 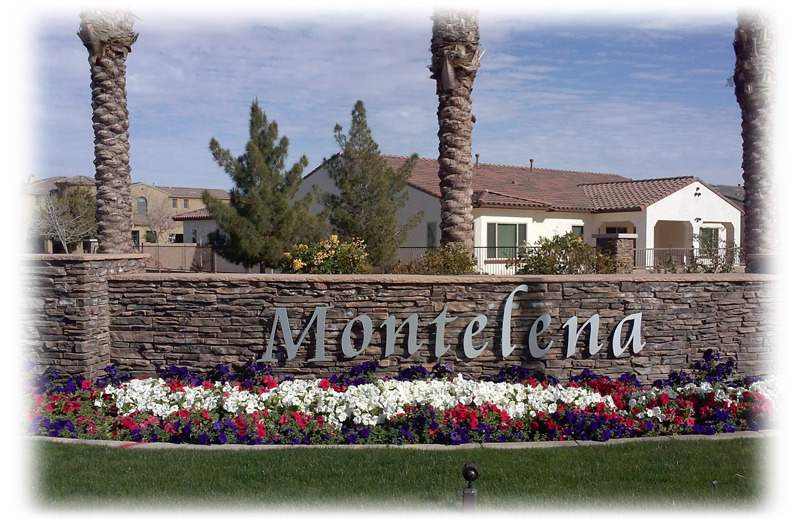 If User believes that any content or other aspects of this Website infringe upon the rights of others, User should provide notice to the Webmaster via email at webmaster@qcmontelena.com in which event the Webmaster or the HOA may elect to investigate the matter further. 11. Choice of Law and Forum; Attorneys’ Fees. This Agreement shall be governed exclusively by its terms and by the laws of the State of Arizona as applied to contracts entered into in Arizona between Arizona residents without regard to the state’s rules concerning choice of law. User hereby expressly consents and agrees to exclusive jurisdiction and venue in Maricopa County, Arizona with respect to any litigation arising out of or relating to this Agreement, provided that the HOA may bring an action to enforce its rights in any forum having jurisdiction. In the event the HOA is required to incur any attorneys fees or other expenses in connection with enforcing or defending its right under this Agreement with respect to User, User shall reimburse the HOA for such attorneys’ fees and expenses. 14. Modification. The HOA may modify the terms of this Agreement from time to time by posting changes to this Agreement on this Website. No provision of this Agreement may be amended, modified or waived except as provided in the foregoing sentence. User agrees to review this Agreement from time to time and comply with any changes. Any use of this Website after the HOA’s posting of any such changes shall constitute User’s acceptance of this Agreement as modified. 15. Interpretation. The terms of this Agreement constitute the mutual agreement of the parties and shall be construed neutrally and not for or against either party. When used in this Agreement, the term “include” or “including” means “including but not limited to.” The headings in this Agreement are inserted for convenience; the provisions of this Agreement shall control.